Limited spaces don’t always equate to minimalist or sparse interior design. 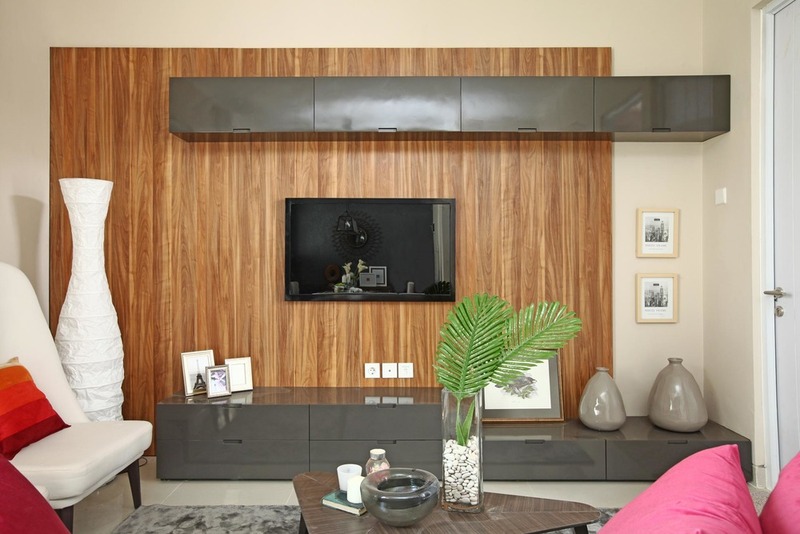 Such is the case with Cherryvile Cluster, located in Grand Wisata, Bekasi that aims to show that strategically chosen ornaments can add a lot to seemingly confined spaces. Casual in its presentation, there’s an emphasis on various shades and types of wood used throughout the unit, giving it an earthy tone that provides a sense of comfort and serenity. Combination of white and brown, separately or in unison can be seen in a lot of the adornments while a contrasting use of wooden partitions and bright colored wallpapers conveys complexion and character.